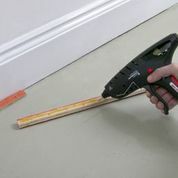 Gluegunsdirect.com supply a range of Tec glue guns and Tecbond glue sticks aimed at the carpet fitting trade to enable a variety of gluing tasks to be carried out quickly and efficiently. The Tec range of glue guns are supplied in 12mm, 15mm and 43mm covering off the job in hand. The difference with the glue gun size relates to volume of adhesive required per trigger pull, for delicate work such as repairs the 12mm and 15mm tools are unrivalled, for larger volume work, the 43mm tools come into their own, especially with the high performance pneumatic tools. The Gas-Tec 600 butane gas powered cordless glue gun designed for on-site work were there is no access to mains power. Tecbond glue sticks and slugs, 12mm, 15mm and 43mm in diameter. 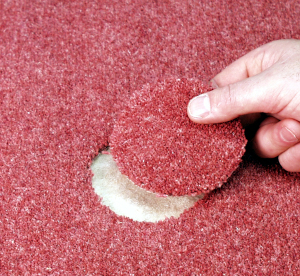 Compatible with the Tec range of glue guns are used for various tasks from fixing and repairing carpets, attaching tack strips (gripper rods) to concrete, wood and tiled floors as well as attaching door bars, stair nosing, laminate floor trim and even under floor heating wiring patterns. Popular grades are Tecbond 132 clear general purpose for fixing and repairing carpets, Tecbond 135 longer open time grade for bonding tack strips and stair nosing and Tecbond 342 with it’s very high molten tack (very tacky glue) instantly grabs the cabling /wiring used in under floor heating allowing the fitter to the job done quickly and with ease.